Lower Pool, 7 a.m. – 9.30 a.m. 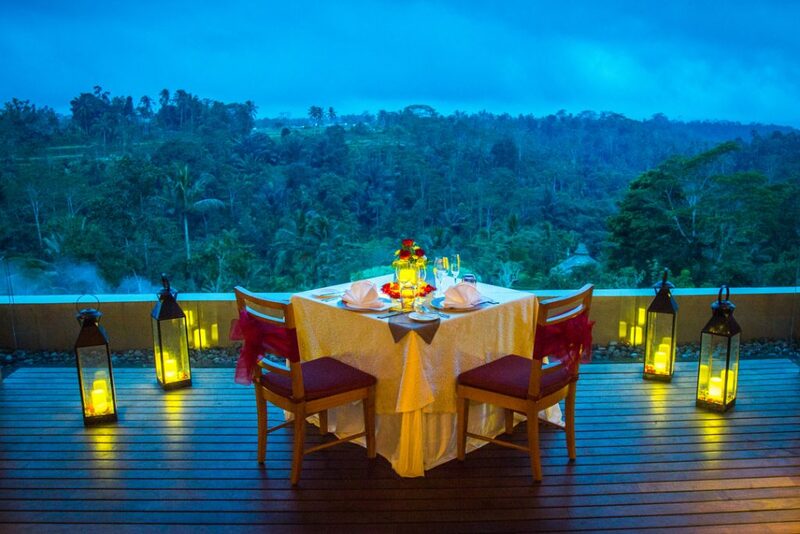 Cool crisp air, overlooking the luscious Payangan hills, a plate of delicious meal of Hot Smoked Spicy Salmon among other exquisite buffet options. Only to come to perfection with a divine bottle of wine. Experience an enchanting Full Moon Buffet Dinner with the artistic Balinese traditional dance performance. For more information and reservation, please dial ‘0’ from your room or +62 361 301 111 [email protected]. 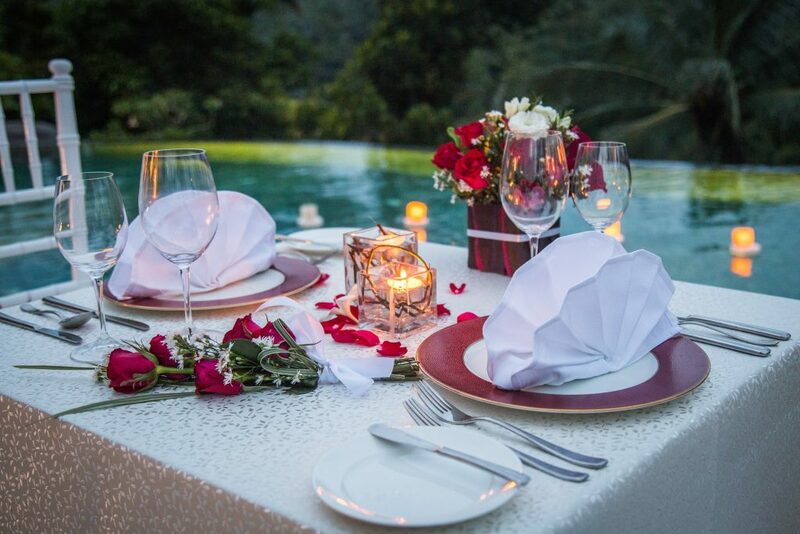 Treat your other-half to an intimate dinner with a soothing evening jungle breeze in the most stunning locations. Reservation is needed one day in advance, for reservation please contact +62 361 301 111 or email to [email protected]. Who says breakfast is the most important way to start the day? We say it’s a pampering massage or facial treatment, especially when it’s on a special offer. 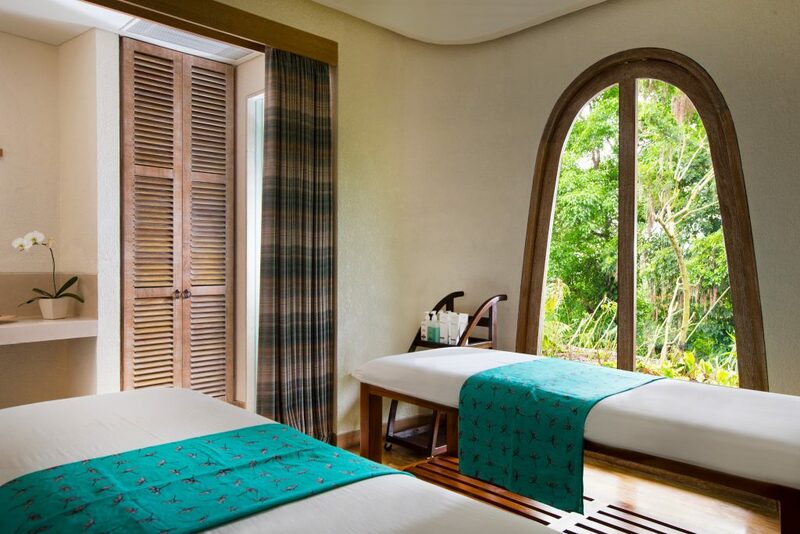 A treat for your treatment is the best way to enjoy a relaxing time at The Spa. Experience Balinese old-age tradition of Melukat or cleansing of the body and soul, with a magical waterfall stop in between. Experience other favourite exclusive activities, which includes Bali Voyage, Jungle Trekking, Private Yoga, and Private Archery. For more information and booking [email protected]. 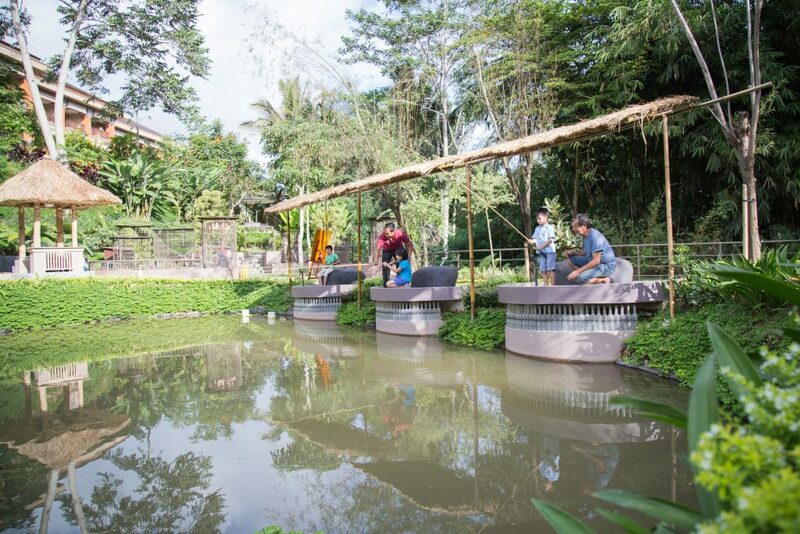 A fun activity for the whole family can now be enjoyed at our brand new Fish Lagoon. All you need to bring is your excitement and we’ll take care of the rest. 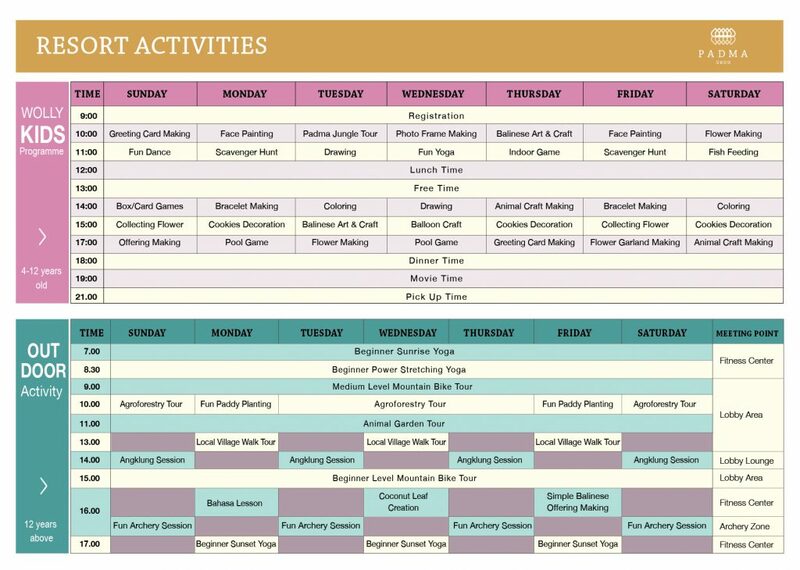 Other top activities you can enjoy are Yoga, Cycling, Archery, Village Visit, Agroforestry and Animal Garden tour, and Water Workout. For further information [email protected]. Families staying with children don’t need to stress while holidaying with us, as we offer daily activities for the youngsters. 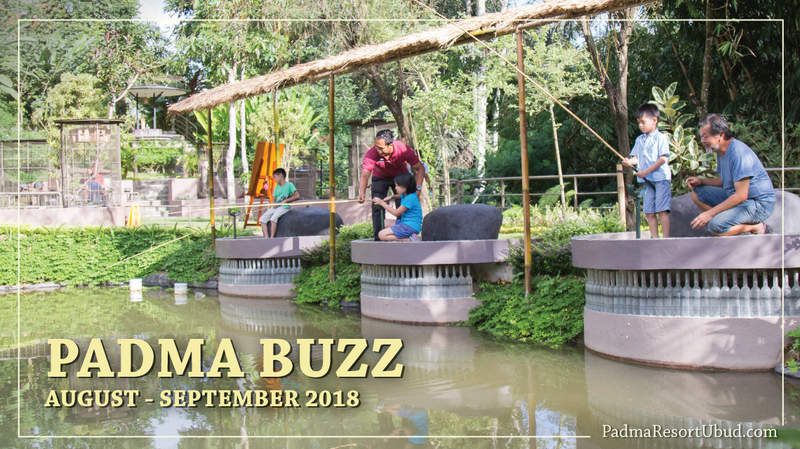 Our top 5 Kids Activities are Movie Time, Cookies Decoration, Balinese Art & Craft, Scavenger Hunt, Face Painting, and Junior Adventure Club for 8-12 years old. The best part is all of the activities are complimentary!